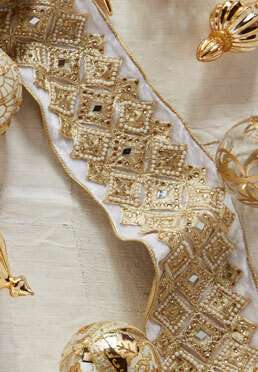 Our Gilded Ribbon features textures and an elegant pattern that add extra sparkle to your holiday decor. Layer it on the Christmas tree with metallic ornaments or fashion a bow out of it to fill gaps between branches. Ribbon features wired edging for easy decorating.